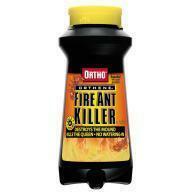 Getting rid of red ants can be a chore. Depending on where they are, inside or in your yard or garden, will define the method or products you use to get rid of them. This is a guide about getting rid of red ants. Can anyone please tell me how to get rid of tiny red ants in the house? It depends on the ant species, or what the colony is feeding on. Place a smear of peanut butter and another of jelly near the activity to see what they may go for. If it is the Jelly (sugar) place out Terro brand baits for them to feed on. If they go for the peanut butter go with Combat brand. Once they start feeding you should see a difference withing a week and hopefully all are gone after two. Combine 90% Karo syrup and 10% 20 Mule Team Borax in a squeeze bottle, warmed just a tad so Borax dissolves. Squeeze the mixture into cracks and areas where pets cannot lick or ingest. Ants will eat and carry back to nest. The nest including the queen is killed. Queens live up to 20 years and produce many more queens. It's important the entire colony is killed instead of just repelled with products that only repel the workers. The sticky is gone once the workers ate it. It's the same principle as Terro only simplified and inexpensive. Terro has only 4% Borax. I have a raised herb bed and have got red ants invading it. I have tried numerous ant powders, etc. with no chance of being rid of them. I've heard pouring boiling water right into the mound works. I read here some use corn meal sprinkled near the top of the mound. Hope this helps. I read in an ad for a gardening mag. that you can put cucumber peelings on an ant hill and they'd either leave or die. Don't remember which. 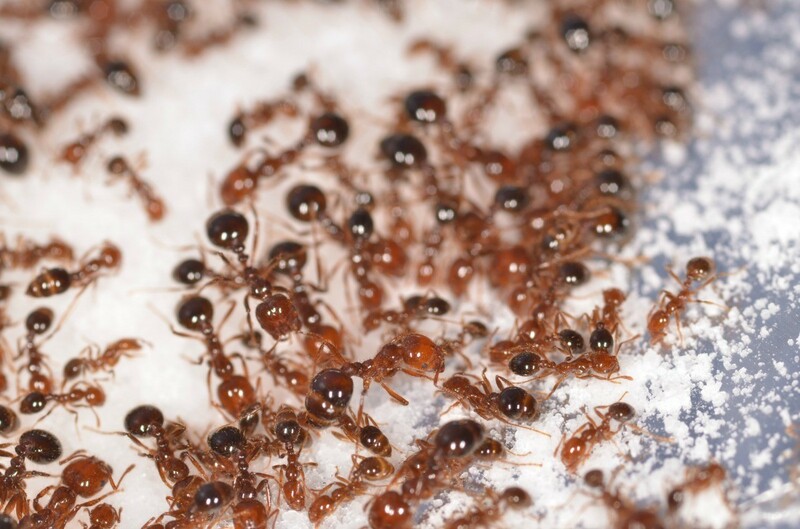 Red ants are the only the enemy of termites. I do not run them off. But if were over run with them I would use Sevin. Sevin will them all. Sevin should be used for Jap beetles. Do not use beetle traps. Also the cleaner 409 is good to use to ants on the patio and decks. 409 is cheap.